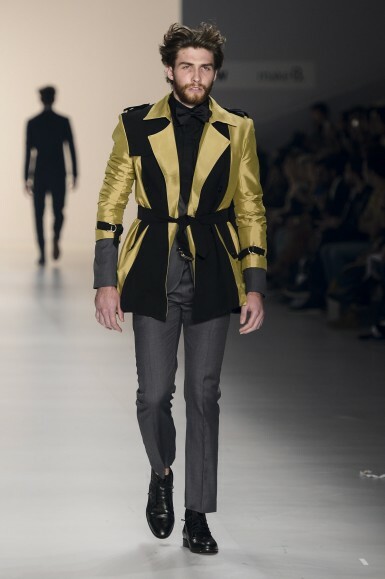 In the Brazilian men’s fashion arena, João Pimenta is an unquestionably talented designer whose creative star shines brightly. 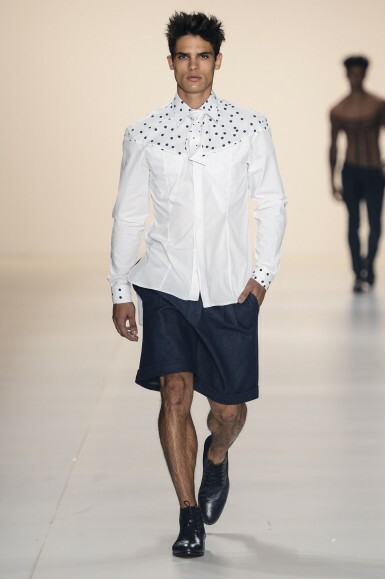 This assertion is particularly accurate when considering that Brazil’s collective menswear taste and consumption habits usually err on the conservative side. 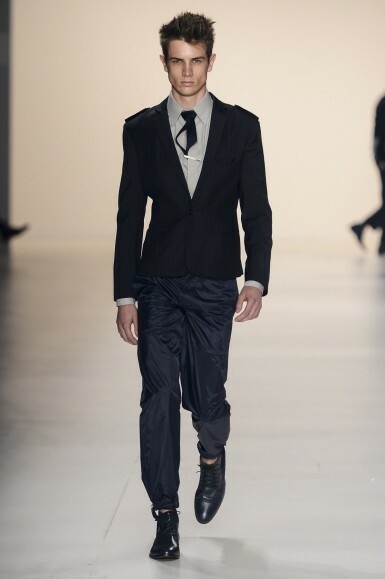 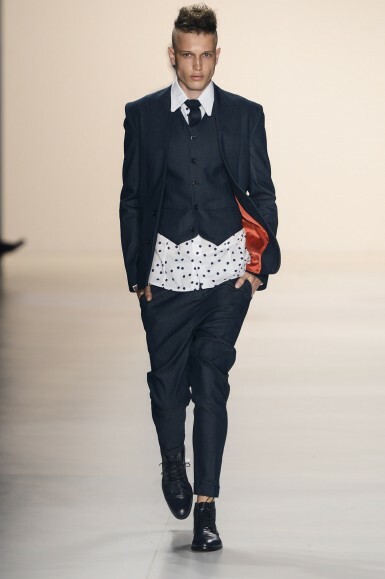 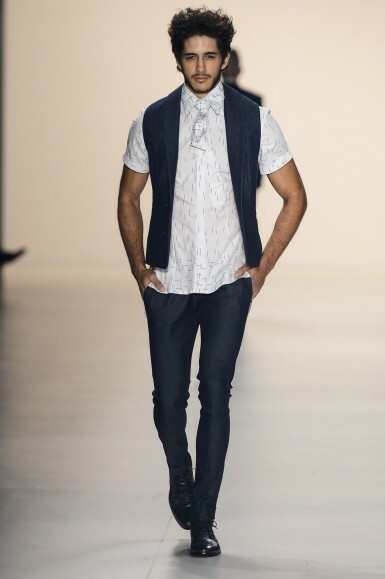 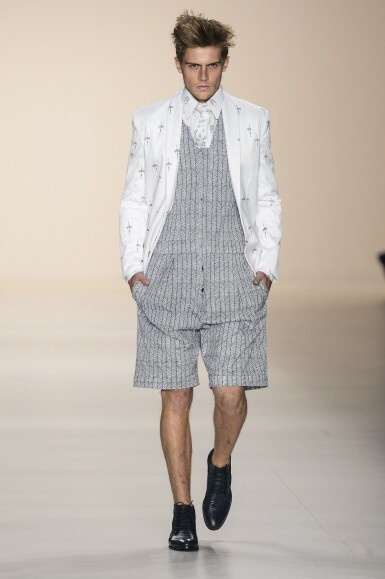 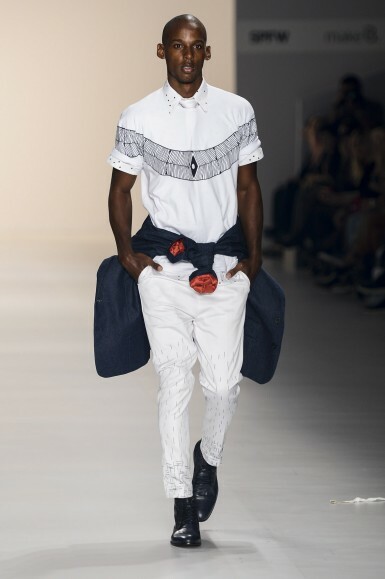 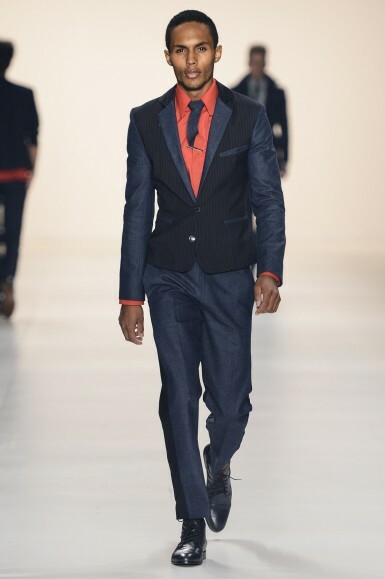 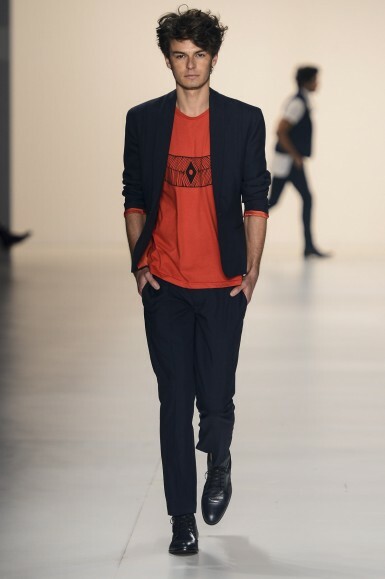 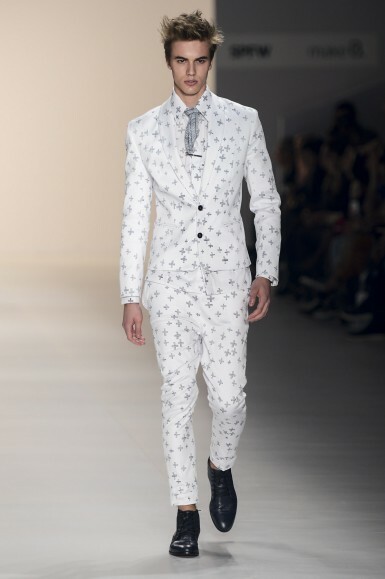 Although his collections have tended to have a strong conceptual inclination over the years, for Spring/Summer 2014, Pimenta opted for a more commercial and wearable approach to men’s fashion that, nevertheless, still disclosed his most accomplished creativity and very proficient command of men’s tailoring techniques. 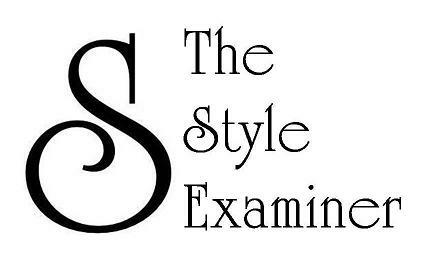 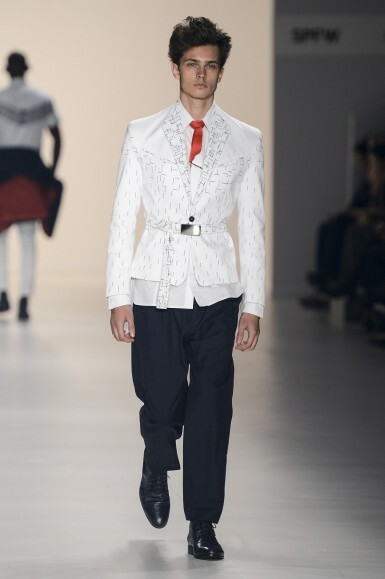 A seemingly conservative range of garments such as fitted shirts, three-piece suits, waist coats and trench coats was subverted in an innovative manner owing to the inclusion of short shorts, low-waist trousers with slim-fit cuts, and tailored jackets and suits featuring embroidered lapels; all made from utilitarian and familiar fabrics such as cotton, denim, satin and nylon in a palette of red, navy, black and white. 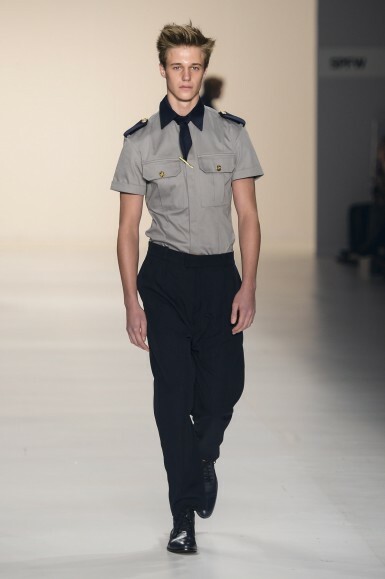 In addition, classic menswear designs such as polka dots, pinstripes and herringbone patterns were cleverly reworked in the form of, respectively, irregularly placed navy dots on white shirts, striped panels in coats mixed with denim or gold elements and epaulettes, and the angular designs and textures of leaves. 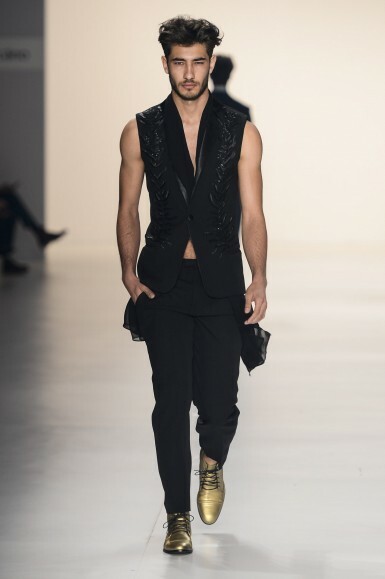 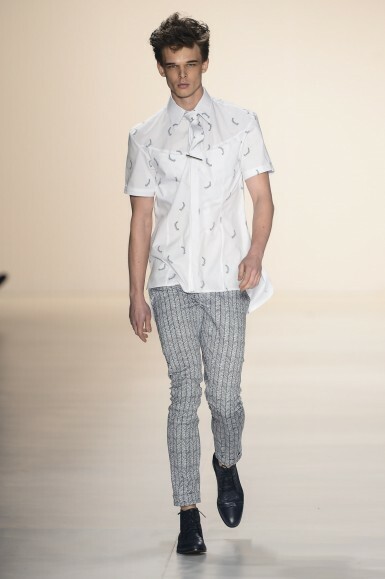 Ultimately, and bearing in mind fact that Brazilian men might not be ready for his designs, during the latest edition of São Paulo Fashion Week, João Pimenta was able to bravely push the boundaries of men’s fashion in his country through a very polished and desirable range of clothes.